What is Reckless Driving in Ohio? Charged with reckless driving in Ohio? 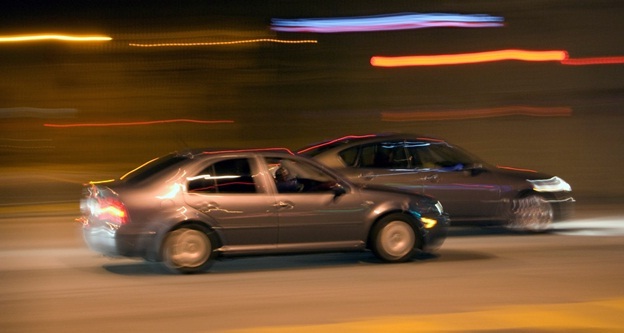 Get your information from a leading Columbus reckless driving lawyer. In Ohio, the law uses the terminology “operation in willful and wanton disregard” to define reckless driving. The term encompasses any vehicle operation that disregards the safety of other individuals or property. Individuals can include drivers, passengers, or pedestrians. Property includes both public and private property. Willful and Wanton are legal terms of art. Willful conduct implies an act done intentionally, designedly, knowingly, or purposely, without justifiable excuse. There must be evidence that the defendant intentionally did something, in the management of his or her automobile, with knowledge that injury to another or to the property of another was probable. Conversely, a want on act is an act done in reckless disregard of the rights of others, which evinces a reckless indifference of the consequences to the life, limb, health, reputation, or property of others.Wanton misconduct is a total absence of care and involves positive, perverse action.Similarly, when the operator of a vehicle, with full knowledge of the surrounding circumstances, recklessly and inexcusably disregards the rights of other motorists, his or her conduct may be characterized as wanton. Defendant found guilty as charged of reckless driving where he had violated the assured clear distance statute. Defendant found guilty of reckless operation when failing to yield the right away to a pedestrian. A conviction of reckless driving can be upheld where there is evidence that a driver swerved over a highway edge line toward a highway patrol trooper in reckless disregard of the trooper’s safety. Abrupt stopping of a vehicle in a lane of traffic in response to another motorist’s sounding of her horn after being cut off by the first driver constitutes wanton and willful conduct that will sustain a conviction. Defendant guilty of willful or wanton operation of a motor vehicle when evidence revealed that, after approaching victim in his car and yelling angrily as he drove, defendant hit the victim and proceeded to drive away. Reckless driving is a criminal offense in Ohio. Ohio Reckless operation is punishable as a minor, fourth or third degree misdemeanor, depending on the number of previous convictions. A first offense is a minor misdemeanor in some Ohio cities, which is punishable by a fine up to $150. If the alleged offender has been convicted or pleaded guilty to another traffic offense within the preceding one year, the offense is a misdemeanor of the fourth degree. This offense is punishable by jail time up to 30 days and/or fines not exceeding $250. If the alleged offender has been convicted of two or more traffic offenses within the preceding one year, the offense is a misdemeanor of the third degree. This offense is punishable by up to 60 days in jail and/or fines up to $500. In some reckless driving cases, a driver’s license may be automatically suspended for the single offense, and in other cases, a point-based suspensions may be applicable. Operating a vehicle in Ohio with willful or wanton disregard of the safety of persons or property can result in four points under Ohio’s driving point system. If any driver receives 12 or more points in a two-year period, their license will be suspended under a class D suspension. This class of suspension could result in a suspension of driving privileges for up to six months. Hiring an experienced Columbus, Ohio reckless operation attorney can help you understand your rights. For your free and confidential consultation, contact an experienced reckless operation attorney at The Maher Law Firm.